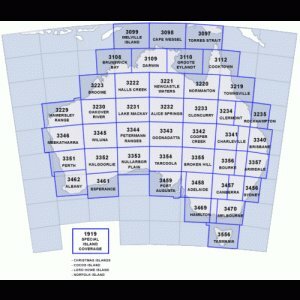 FBOs, in the United States are quite different than the aviation experience in Austrailia. A common site at just about any FBO in the United States. In Australia, things are quite different when you arrive at an airport. Without businesses focused on taking care of the needs of general aviation, GA pilots are on their own and airport operations are focused on what is known in Australia as “Regular Public Transport” or airline operations. This leaves GA pilots without access to terminal buildings or restroom facilities and all the other amenities that come with an FBO. We were forced to find our own parking, often in the grass, snag a roaming fuel truck when it wasn’t serving an airliner, figure out how to get our luggage out the gate, and procure our own ground transportation. Although the days of free steaks and wine and fetching greeters waving flags seem to be over, back in the U.S. we still have it good. Many FBOs in Middle America still represent the ideal of mom-and-pop operations providing their parking, fuel and connection to the local community with down-home warmth and hospitality. This is certainly true of Heartland Aviation’s Jeff and Gaylene Jensen, who extended a warm welcome and put on a wonderful eclipse party for fly-in attendees at Alliance, Nebraska’s municipal airport last August (see the article here). I routinely say to FBOs, “Thanks for being here, and taking such good care of us.” I usually get a confused “Huh?” for an answer. I explain to them that I have seen flying without FBOs and it is not as practical, or nearly as much fun. 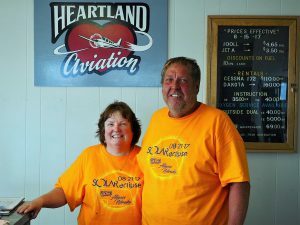 Heartland Aviation’s Jeff and Gaylene Jensen mind the store at Alliance, Nebraska’s municipal airport . Due to the increasing range of business jets, we have reason to be concerned about the preservation of the delightful Middle America FBOs and the airport and community access they provide. As we saw in Australia, airports without an FBO become far less accommodating to GA. It is a serious concern for general aviation. Surprisingly, we have business jets to thank for our wonderful network of FBOs in the U.S. Many FBOs simply could not survive on the business generated by piston airplanes alone. Back when John and I were flying our Cessna 340 around the Midwest teaching live, 2-day weekend ground schools, I remember sitting in airport cafes (also an endangered species) and watching Learjet after Learjet pull in for a quick turn on their way from coast to coast. The joke was that the early Lears gulped fuel at such a rate that they had a low-fuel emergency right after takeoff. When business jets became longer-ranged, and more of them could reach their cross-country destinations without a fuel stop en route, Middle America truly became “fly-over country.” The FBO businesses there became more precarious, and as a result the number of our mom-and-pop FBOs in Middle America is declining. Much of the jet fuel sales that would have been made by mid-country FBOs has been shifted to prime destination airports. These airports are having such a heyday that piston general aviation airplanes are seen as annoyances. While fuel prices in mid-country can be less than $3.00 per gallon, some FBOs at these prime destination airports charge over $8.00 a gallon. Often in addition they assess ramp fees and overnight parking fees in the hundreds of dollars. The root problem is that most of these airports don’t provide any aircraft parking except at FBOs. Consequently, all transient airplanes are required to use an FBO and buy a minimum amount of fuel or pay a minimum ramp fee. Due to the high prices, this has made many of these airports and their runways, taxiways, and ramps, that the public invested in, virtually inaccessible to most general aviation pilots. This loss of airport access is a serious concern for the future of general aviation. A simple and elegant solution for airports without an affordable FBO, or without any FBO at all, may be to make available transient parking that doesn’t require the use of an FBO. This should be required at every airport where the government has provided funding. With mobile phones, and the ready access to off-airport transportation that ride-share apps like Uber and Lyft now provide, using transient parking without the services of an FBO has become much more practical. There are some airports that already have such parking arrangements, including Lunken Field in Cincinnati, which John and I used recently. But they are few and far between. And the problem is, due to concerns for airport security, you have to call to get through the gate and back to your airplane. This limits the hours when you can return to your plane, and the spontaneity that is such a valuable attribute of general aviation. Advances in technology may help out here. A pilot leaving the transient parking area for the street could now pose for a camera on the way out. Upon re-entry a similar camera could capture the image of the pilot. Then bio-metric facial recognition could confirm that the person returning to the airplane is the pilot who flew it in. If a pilot can fly an airplane in to an airport without being vetted by security, the same pilot flying it out shouldn’t have to be vetted by security either. Such a sensible, low-risk approach to airport security would be beneficial at every airport. There will be pilots who even at prime destination airports would prefer to pay the prices the FBOs charge in order to receive their services. But they shouldn’t be forced to do so in order to gain access to the airport, any more than drivers should be required by the government to use a particular gas station as a condition of using the road. It would be great for those of us how have been priced out of prime destination airports to regain access to these airports that government funding has helped pay for. Plus, if pilots aren’t forced to use the FBOs at prime destination airports, they could buy their still-needed fuel at a less-fortuitously-located FBO that desperately needs their business to stay alive. One way or another the future of general aviation as we know it depends on keeping these FBOs viable. This entry was posted in Flying Magazine Articles, Martha King, Media reports and stories on July 3, 2018 by Pilot One. Thanks for being out front on this issue. FBOs are killing General Aviation with their ridiculously high fuel and ramp fees. Many airports are now not accessible due to these ludicrous prices. We need to stand up and stop these predatory FBOs. Your article is right on target. It’s a very good summary of the situation. Nice to see you in the Left Seat again, John! I realize that this is grossly over generalizing but I believe that basically true. Some unscrupulous people who used to provide SERVICE to the average customer have gotten greedy and practice what I call ‘predatory pricing’. It is like a malovent virus infecting our social fabric in the US. I harken back in time when you used to roll up to the gas pumps in your car and while the tank was filling up, your windshield got cleaned and your oil checked – all with a smile. Candy bars and chips were not manipulated to give the impression that they were larger by making them thinner and longer but actually lighter and smaller than before – oh and more expensive. And like this article explains, the services provided (if provided at all) by some FBO’s is the opposite of customer service. More like customer screwing. Greed is killing customer service. I absolutely support the premise that if our tax dollars are provided to airports, then FBOs who exhibit “predatory pricing” should be subjected sanctions or civil criminal charges. It is not the FBO’s airport — it is our (tax paying citizens) airport!!! The majority of FBOs provide excellent service at a fair price, and yet are struggling. They indeed are essential. Most small airports have transient parking,, the issue is primarily at the larger (airline serviced) airports — which as Martha points out, do require heightened security. 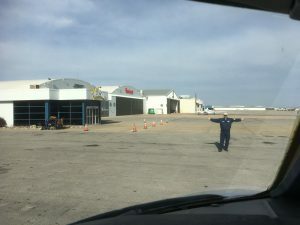 However, I’m not convinced that mandatory transient parking apart from an FBO would be a viable option at many of these airports; although perhaps things could be done to make them a bit more welcoming to GA. For example, conditions in the FBOs’ lease agreements could be used to help accomplish this. That, of course, is assuming that the airport owner desires to remain welcoming to GA — which, if it does not, is the true source of the problem. Perhaps the AOPA, EAA, GAMA and other industry organizations can do more to promote small FBOs. Perhaps providing incentives to pilots that support them or even organizing fly-ins that can be a real boon for business.